What’s the best change you can make to reduce your energy bill in Ohio? If you said switching to solar panels, then you’re right! Are you ready to reduce your monthly bill with solar power? 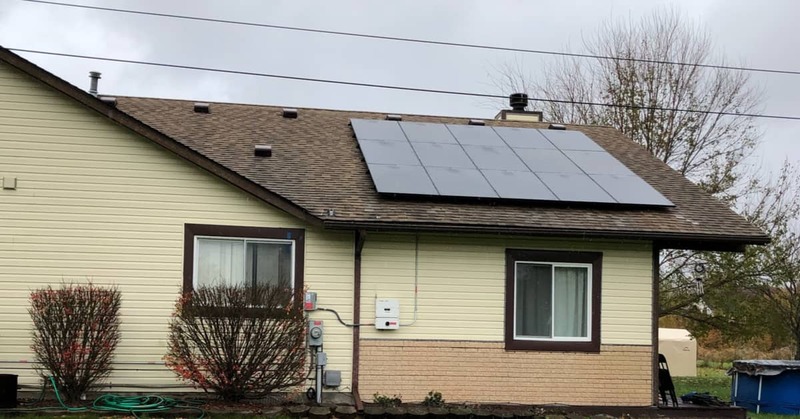 As the leading residential solar company in Ohio, we’re committed to helping homeowners save money and the environment, one solar panel at a time. With our American-made solar panels, our mission is to put money back into the pockets of homeowners – where it belongs. As the official solar partner of the Cleveland Browns, POWERHOME installed solar panels at FirstEnergy Stadium as part of the Browns’ green initiative. Together we’re building a movement that will help future generations and the planet, while dispelling the myth that solar is not viable in northeast Ohio. Ohio has plenty of sunshine and numerous laws that favor switching to solar power. The state has a Renewable Portfolio Standard (RPS) that requires utilities to increase their use of renewable energy sources to 12.5% by 2027. 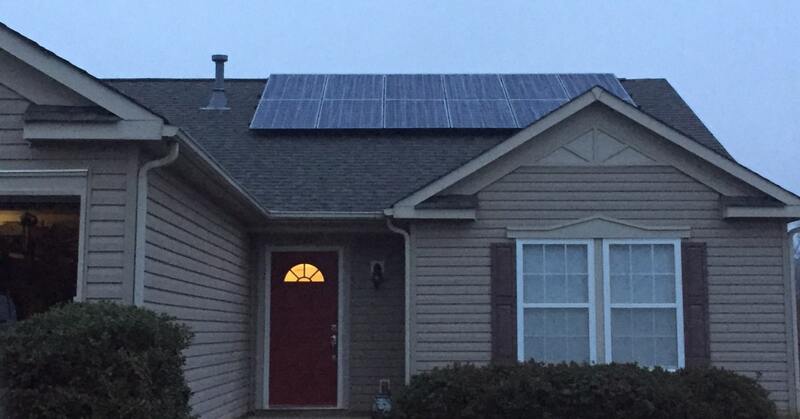 Purchasing solar energy produced by homeowners is one way utilities can meet the standard. This is why Ohio offers strong incentives to homeowners. This includes strong net metering and interconnection standards. And don’t forget that the federal government offers a 30% tax credit on the entire cost of your Ohio solar panel system. These incentives make switching to solar power an affordable option that continues to save you money. At POWERHOME Solar, we think you should own your power, not rent it. Our mission is to help you save on your energy bill while doing your part to save the planet. And, we make it easy and affordable. Many people think about switching but hesitate because they think Ohio solar panels and their installation is complex and costly. With POWERHOME Solar, that’s just not the case. With our $0 down, 100% financing plan, you won’t spend a penny up front to reduce your energy bill. If you prefer, we also offer the option to buy your solar energy system outright. Beginning the solar panel installation process is as easy as picking up the phone. One phone call and you are on your way. One of our solar energy consultants will call to find out if you qualify by asking a couple of questions. Then, we’ll make an appointment for a solar energy consultant to come to your house to gather more information. Once we’ve determined that you and your home qualify for solar, our energy consultant will examine your home for proper placement of solar panels and analyze your energy usage to determine what type of system will work best for you. They’ll give you a proposal customized to the needs of you and your family. After you’ve accepted our proposal, we’ll determine a date for your solar panel system installation once we complete all the necessary behind-the-scenes work. Unlike many other solar panel companies in Ohio, we also are a roofing company. Our company is GAF-certified, so you can be assured that we are dependable and familiar with the latest roof installation techniques. Solar power now accounts for over 2% of the electricity produced in the U.S. It’s an industry that is growing across the country and especially in Ohio. In fact, Ohio is projected to install over 1,000 megawatts of solar over the next five years, which ranks 18th nationally. A common misperception is that Ohio isn’t good for solar energy because it is so cloudy during the winter. While Ohio doesn’t get as much sunlight as other obvious states for solar energy such as Arizona or Florida, it gets more than enough to make solar panels feasible. Although the winter months may lack sunshine, the benefit from cold temperatures reduces the amount of panel-generated energy lost to heat. In addition, the technology of Ohio solar panels is now at peak efficiency. Solar energy systems have modern, practical and sleek designs that blend with the roof of your home. They are designed to capture the maximum amount of solar energy and turn it into energy for you and your family. How Will I Save on Solar Panels in Ohio? Reduced energy bills are one of the main reasons people switch to solar power. So, if you are wondering whether solar panels will save you money, the simple answer is yes. How much you save on your energy bill depends on numerous factors. The best way to find out how you can save with solar power in Ohio is to contact one of our solar consultants. When solar panels are installed correctly, they will not damage your roof. They become an energy generator for your home. 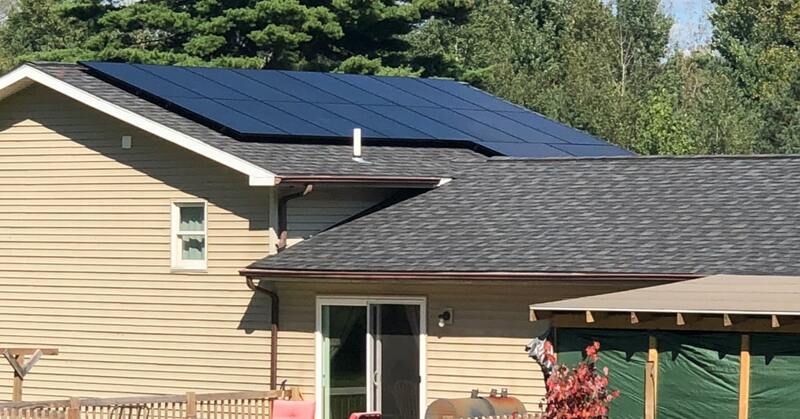 Unlike some other solar panel companies in Ohio, we not only install solar energy systems, but also repair and re-roof homes. We have the knowledge required to ensure your solar panels are installed correctly. Does Winter Weather Affect the Way Solar Panels Work? Solar panels are powered by light, so as long as there is sunlight, they will generate power, even in winter or on cloudy days. In fact, snow often reflects light and helps improve the performance of solar panels. And the cold temperature helps reduce the amount of panel-generated energy lost to heat. Solar power generation will be temporarily affected if your panels are covered by too much snow. Call 614.412.1170 today and start saving money with solar.